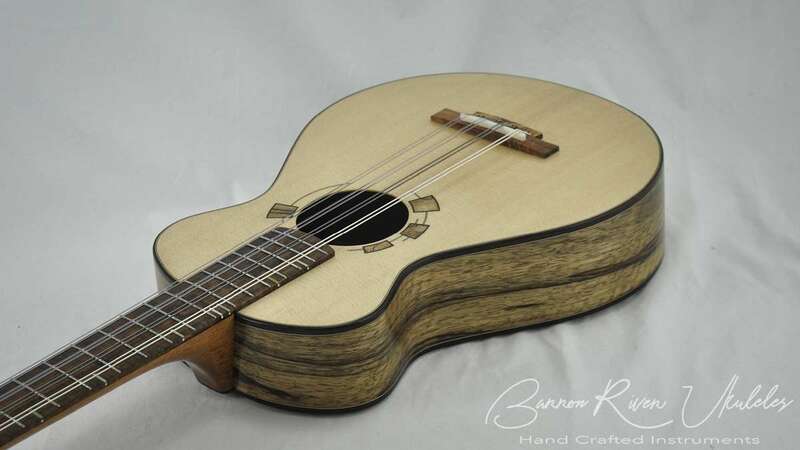 An eight string baritone designed to be played with a slide. 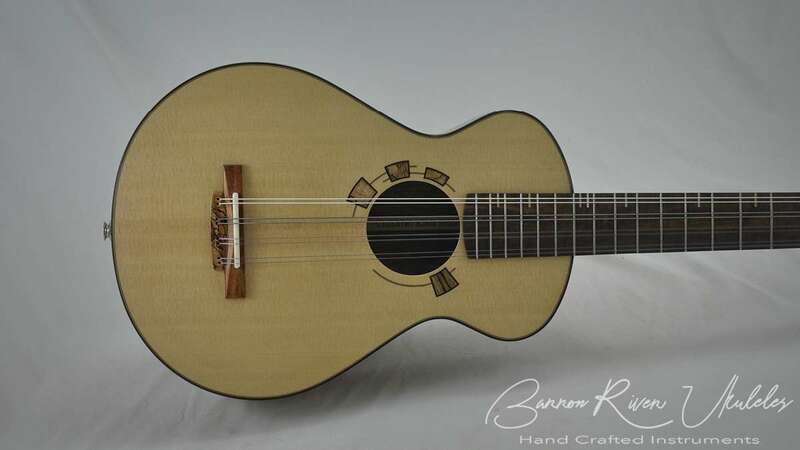 Tuned in unison paired strings. 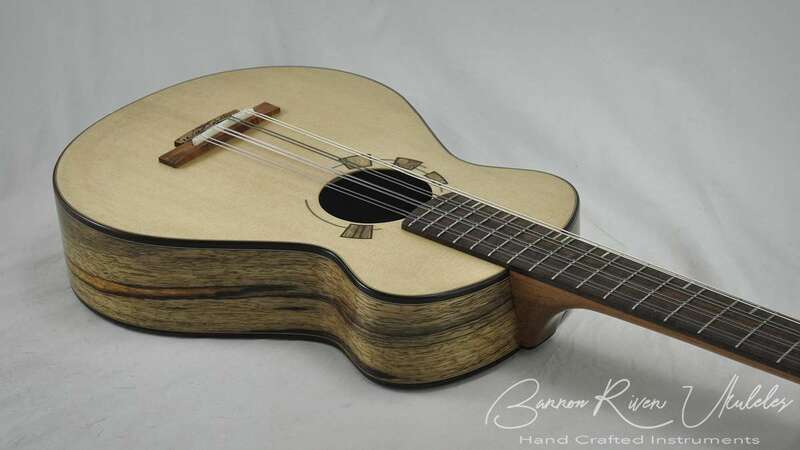 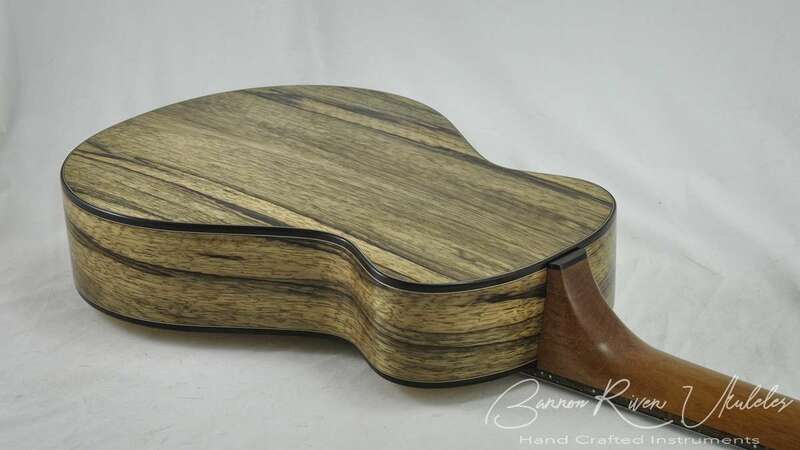 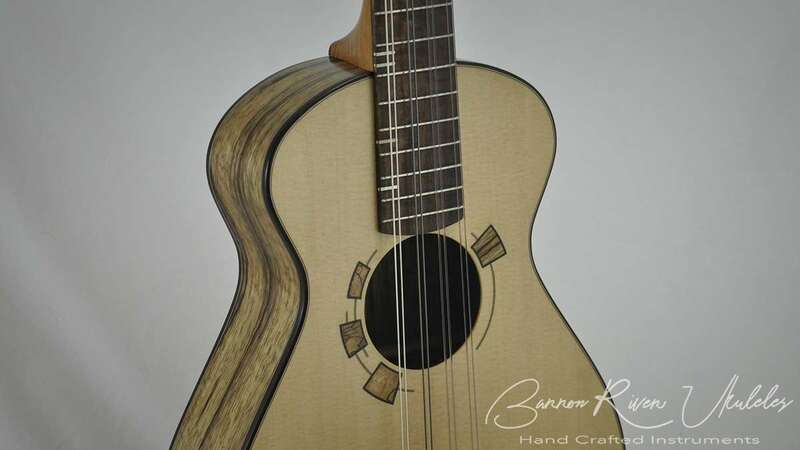 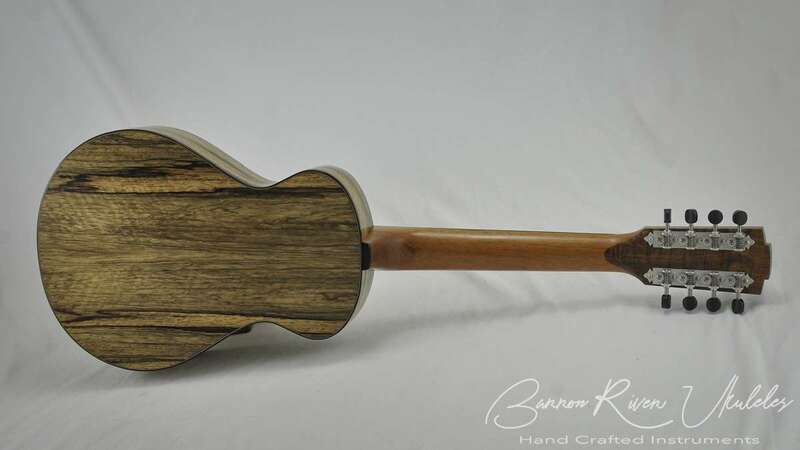 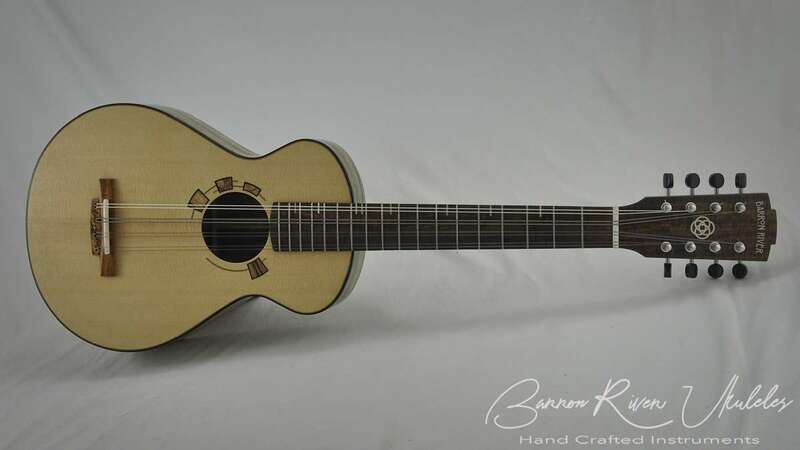 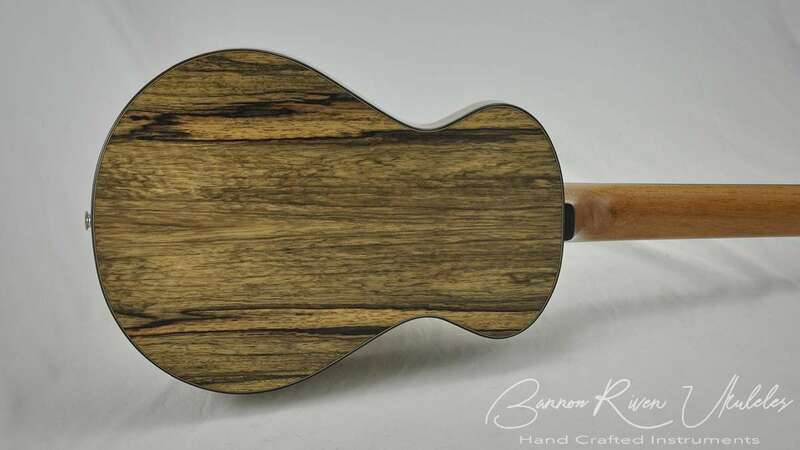 Featuring a really beautiful set of Black Limba and a master grade Sitka Spruce soundboard. 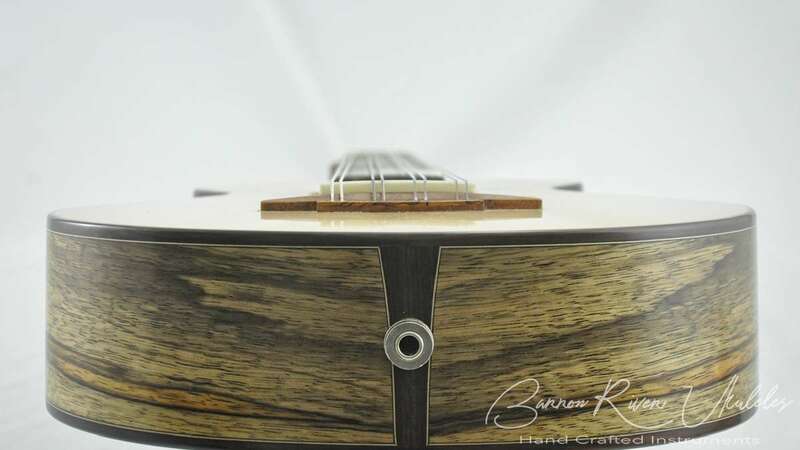 Ringed Gidgee fret board and peg head veneers. 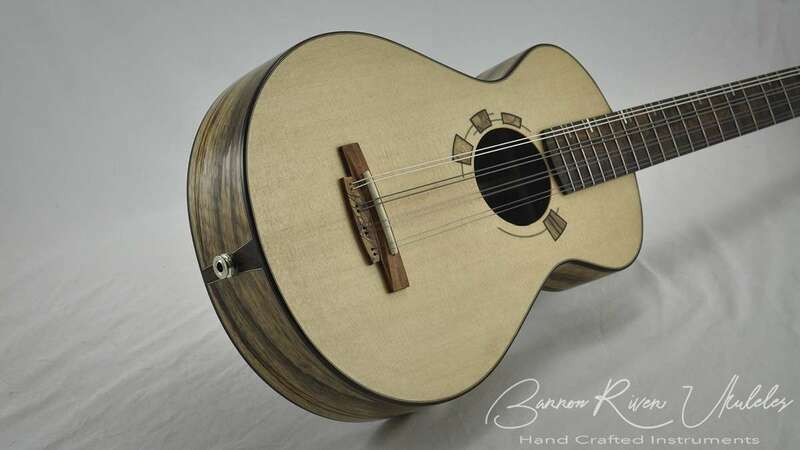 Waverly mandolin tuners and a K&K Aloha Twin pickup is installed.